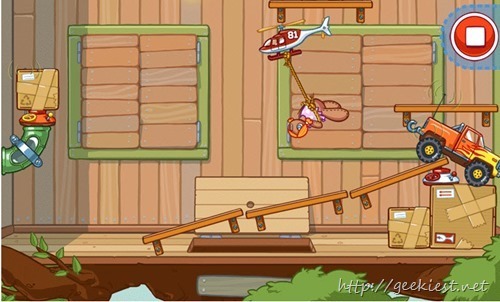 Amazing Alex is a game from Rovio Entertainment Ltd., the developers of famous game Angry birds. You can arrange objects like books, balls pipes etc. to make a chain of actions and find a solution for a given problem. This game is really cool. This game have more than 100 challenging levels to play. You may also create your own levels and share it with your friends or with Rovio. From the latest version 1.0.4 each week you will get new levels and chance to have the level you created get featured around the world. Read more about Amazing Alex Premium from this page. This game is $0.99 worth but you can this game for Free just today via Amazon App store. You will have to install Amazon App store on your phone first to get the game. You can get the app store from this link. You will get an app for free every day.